Here is another month of unboxing & reviewing Glossybox. 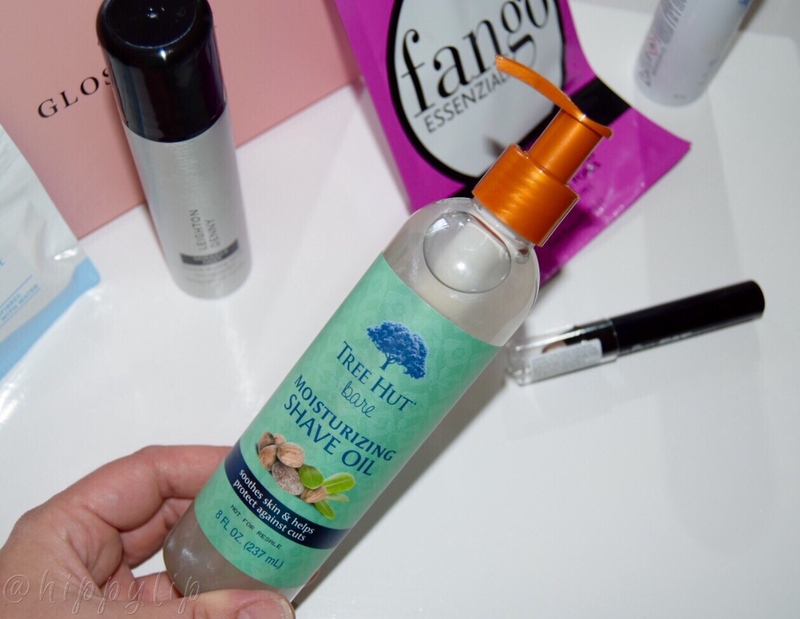 This is the July edition and as I said before, I will be doing it later in the month so I have a chance to use the products and give you all a little review. 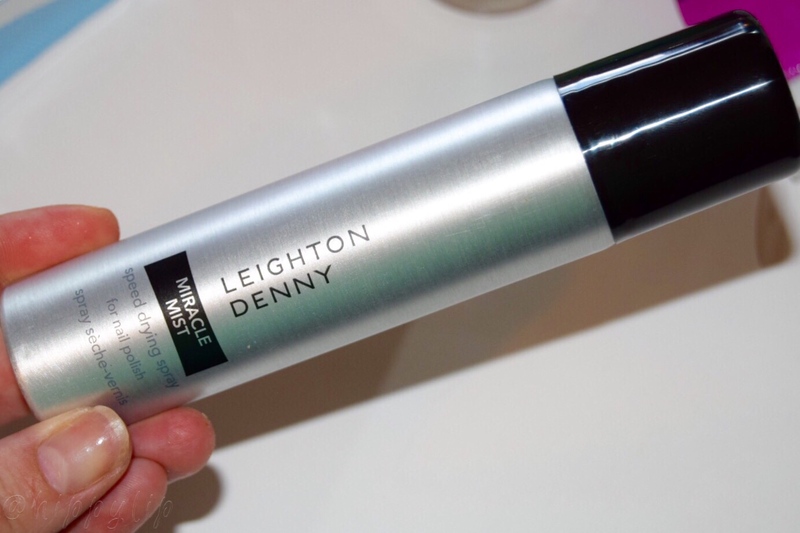 Leighton Denny Expert Nails: Miracle Mist in Full-size 2.5 oz. $16 USD. What it is: Speeds up the drying process of nail polish and keeps it smudge free. Review: The tip above is dead serious. I only tried this with one coat of clear polish so I can’t say how well it works with several coats, but it dried my one coat in seconds. I was comfortable enough to go right to bed after I sprayed this on. It is so worth the $16 for you beauties that paint your nails/toes frequently. It’s a keeper. Vichy Laboratories: Thermal Water Spray in deluxe size 1.69 oz. Full-Size $14 USD for 5 oz. What it is: Refresh your makeup, protect against pollution, and keep your skin hydrated with 15 volcanic minerals. Tidbit: In ancient times, this was first revered by the Celts and later exploited by the Romans for soothing and anti-redness properties. 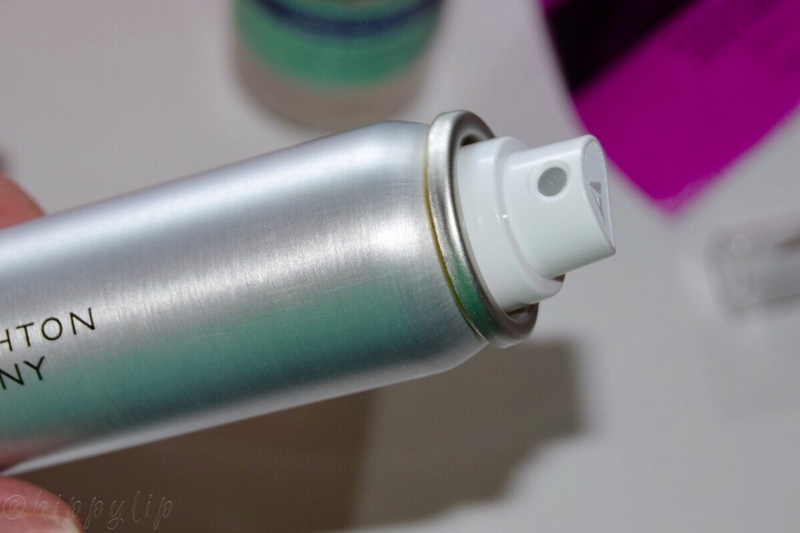 Review: I am loving this spray. I can’t say that it’s actually protecting against pollutants, however it’s extremely refreshing and hydrating. I’ve been using it everyday and it’s almost gone. I will get the full-size when I run out. It’s a keeper. 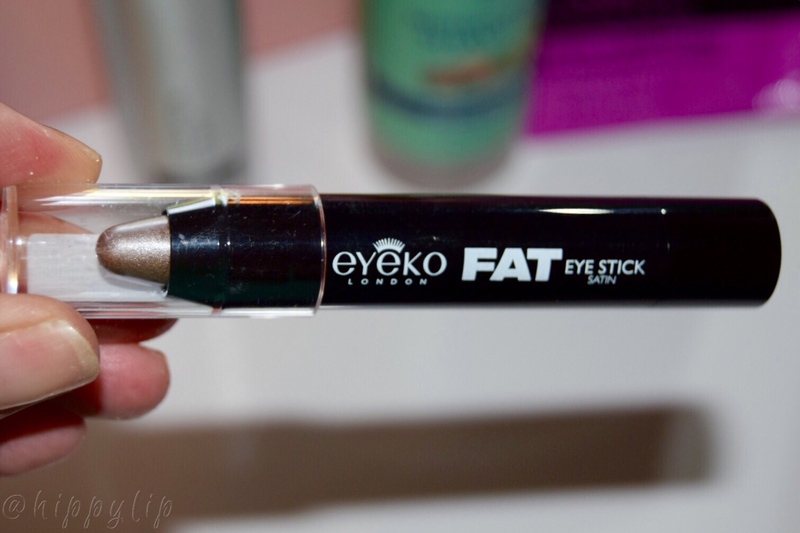 Eyeko: Fat Stick in the shade Satin. Full-size $12 USD. 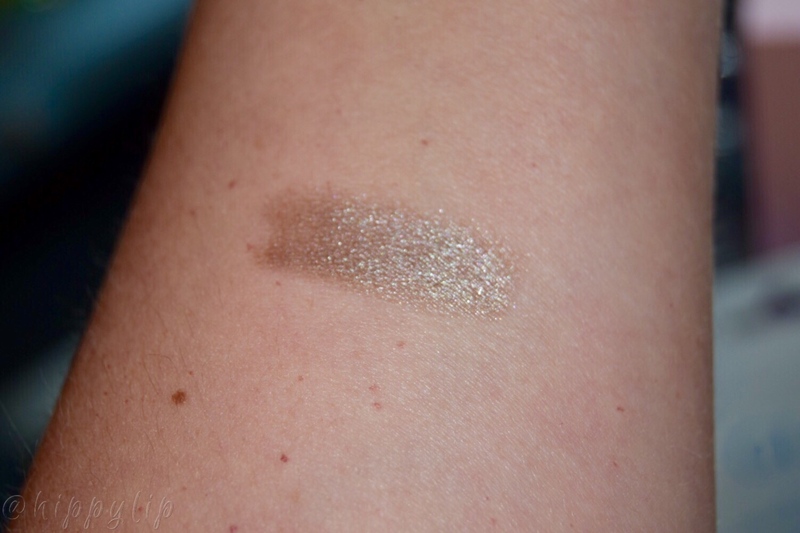 What it is: Eyeshadow stick to transform your eyes in one swipe with a metallic, smudgy iridescence that can be worn day or night. Tip: After dabbing your lids be sure to blend quickly with fingertips before the shadow sets. Review: I am not at all a fan of shadow sticks. They are usually awkward for me and hard to blend,but since Eyeko surprised me before with their Fat liner, I gave it a try. The shade is a pretty champaign shimmery taupe. I was able to blend it with my fingertip on the lid and to highlight my brow bone. I will definitely use this up but not sure if I would purchase more shades. I need to get more comfortable with it first. Tree Hut Bare: Moisturizing Shave Oil in full-size $10 USD. What it is: A blend of shea butter and natural oils to prevent sensitivity while shaving and to give you smooth skin. Tidbit: After WWII erupted, the iconic picture of Betty Gable became an overnight success. To emulate her look women started wearing stocking, which prompted ladies to being shaving their legs almost immediately. Review: I liked this way more than I thought I would. I expected my razor to clog from the oils and it didn’t. I got a really close shave with no irritation and super smooth skin. The only complaint I have is that it can make your shower very slippery if you aren’t careful….lesson learned the hard way! Wash it down the drain as soon as possible. Glov: Glov Quick Treat in a sample size. Full-Size $5 USD. What it is: Re-usable makeup remover, fitting on your finger and using only water. 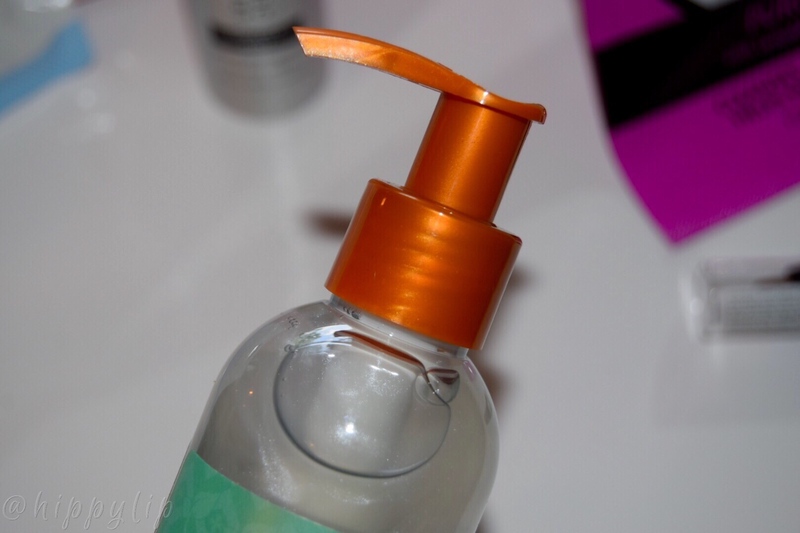 Tip: Moisten with water, remove makeup, hand wash with soap, and let it dry for later use. 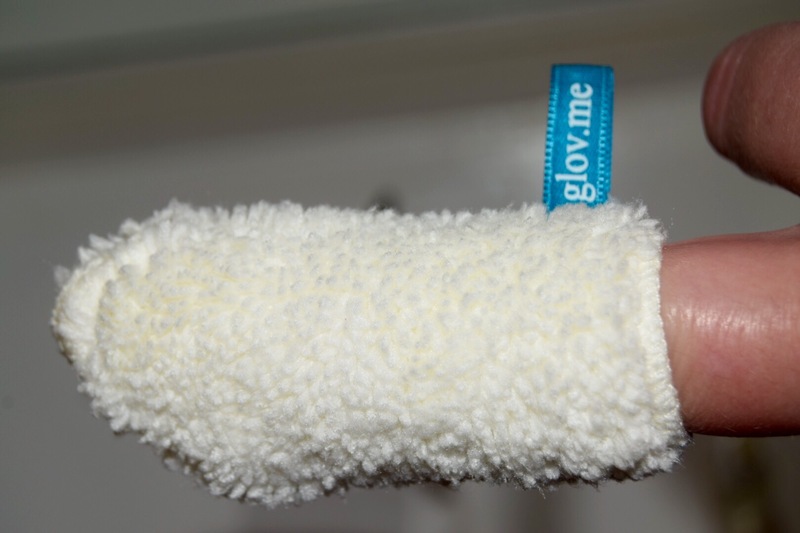 Review: This little finger cloth actually worked with just water. It even removed my waterproof mascara. It washes best with bar soap. I would much rather have the full-size that fits like a glove on your 4 fingers and it does take a bit to dry. I think it’s a really good product to take on vacation or on the go. 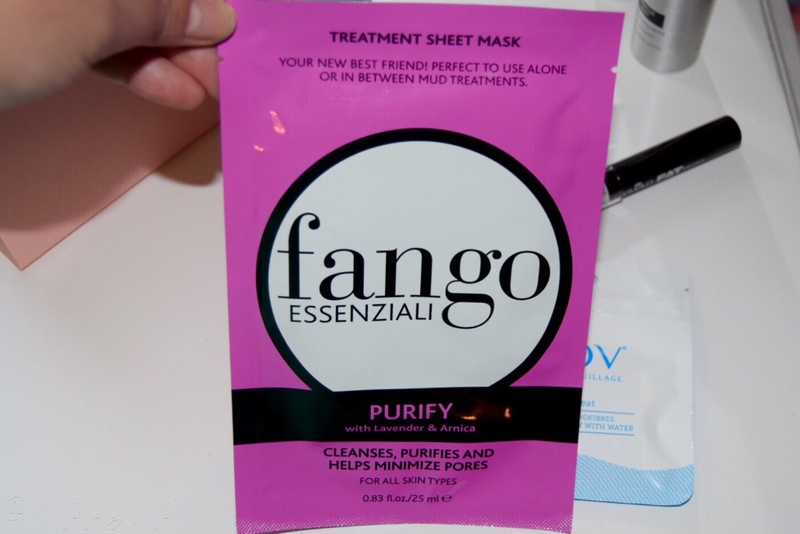 Fango Essenziali: Purify Treatment Sheet Mask in full-size $7 USD for one mask. What it is: Face mask loaded with lavender oil and Arnica flower to purify your skin, control oil, and tighten pores. Tip: Gently rub the residue of the serum into your face and let it dry for best results. 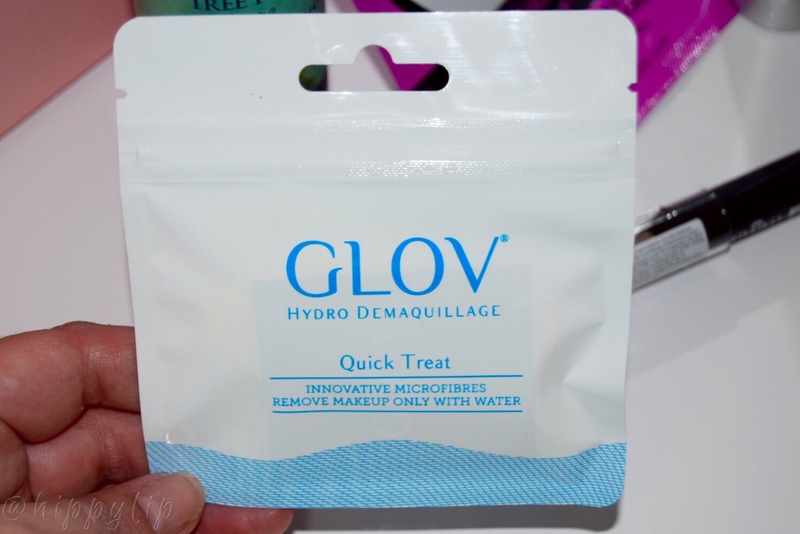 Review: This mask fit well and felt nice and refreshing while on. The problem was after I removed it, the stickiness never left. It never fully absorbed and stayed tacky for 2 hours until I finally had to wash it off. My face was softer and seemed to clear up from a recent breakout. I won’t purchase this one again. Overall July’s Glossybox was a 10/10. I use ever single product and I was shocked to find 4 full-size items because that doesn’t happen very often with Glossybox due to the high-end/niche nature of the box. I also liked trying the unique items that I wouldn’t normally purchase. Bottom line is you NEED Glossybox in your life! What do you think? Give Me Some Lip!! Thanks!! I will enter your giveaway. I have an Instagram highlighter giveaway @hippylip. Whoa, that Leighton Denny sounds like a must have for those rushing out the with a fresh mani! Wonder if Sally Beauty Supply sells anything like this. Oh yikes, anything that makes the shower slippery is a no go for me – I have a big fear of slipping in the shower! Crazy that little finger condom thing removed your WATERPROOF mascara?! What’s it made of!? Just 100% polyester? I usually use the Sally Hanson drops to dry my nails but this is better. You def need this for all your polish changes. Stay away from the oil then because I slipped…felt like those commercials with the older women!! Glov 🙈 is does look and sound like that! The real size fits on your 4 fingers. 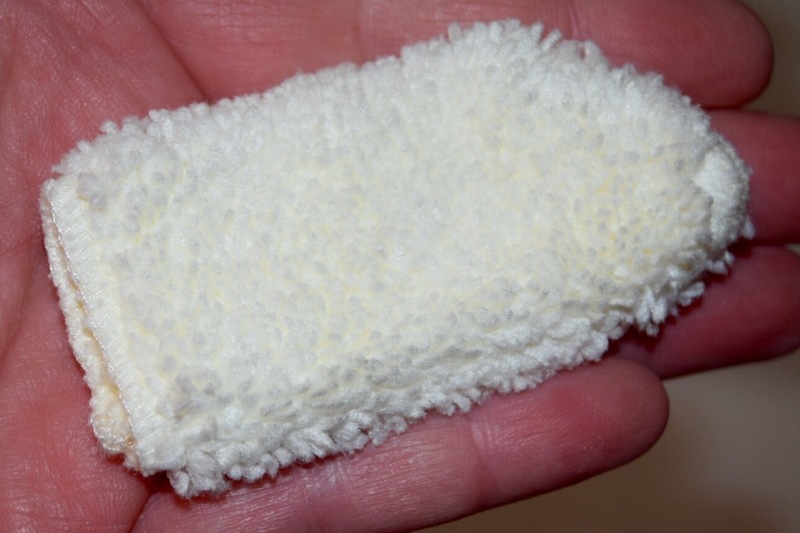 It’s made with “microtechnology” 30 times thinner than cotton 100 times thinner than hair. I do have to work a little to get waterproof mascara off but it’s soft so I don’t mind. 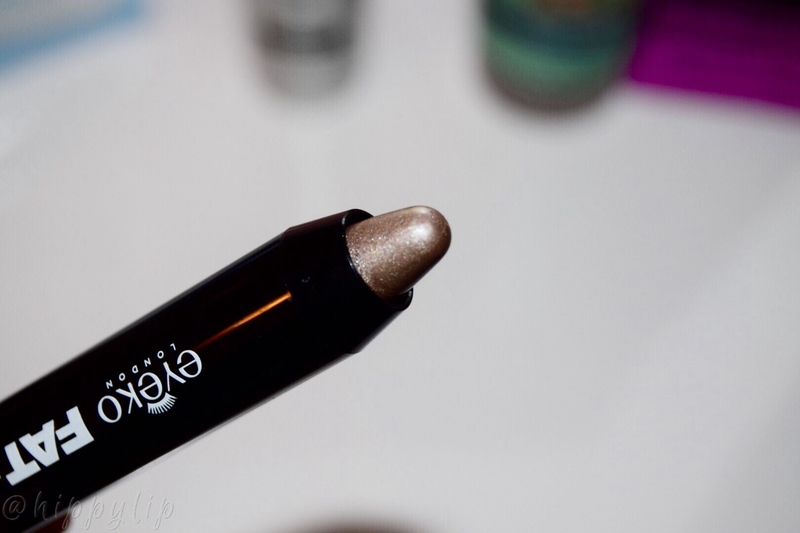 The Eyeko pencil is so pretty! And the finger glove is super cute! The makeup remover finger glove is too adorable! It looks perfect for removing eye makeup. Thank you!! It is perfect for the eyes, but the bigger size would be better for the whole face. It’s amazing how the makeup comes right off with just water. It’s a very pretty shade, you just have to dab and blend fast. Lol. It’s taken me a bit to get used to.